The eighteen-year-old striker started his career with Crawley Town where he impressed in their Youth set-up, scoring 26 goals in 2008 / 2009 and making two appearances for the Red Devils’ first team. 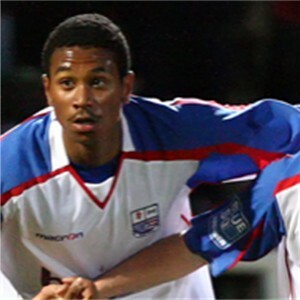 The hotly rated youngster was brought to Peterborough United for an undisclosed fee in July 2009, fighting off competition from Glasgow Rangers and Crystal Palace for his signature. After facing the Diamonds in a pre-season friendly, Mills was loaned out to League 2 Torquay United, where he made two substitute appearances before returning. Danny arrived on loan from Peterborough on 22 October 2009, for one month with the intention of extending it further. He made his Diamonds debut in the FA Cup tie at Workington on 24 October 2009, but after little opportunity in the first team, he returned to Peterborough United after just the one month. Danny was sent out on loan again at the start of the 2010/2011 season joining Conference side Histon on a half season loan, returning back to Peterborough. On 15 February 2011, he went out on loan to Kettering Town until the end of the season before returning to the Posh at the end of the season. On 8 August 2011, he went out on a half season loan deal to Tamworth. On returning to Peterborough, he went on loan to Kettering Town on 13 January 2012 until the end of the season, before being released. In the summer of 2012, Danny moved back to his home town of Croydon to join Isthmian Premier side Carshalton Athletic, before joining recently promoted rivals Whitehawk in early November 2012. He went on to score over 100 goals for Whitehawk before leaving them to join Ebbsfleet United prior to the 2017/18 season. He spent part of that campaign on loan at Dartford, and then signed a season-long loan for 2018/19 with Welling United.